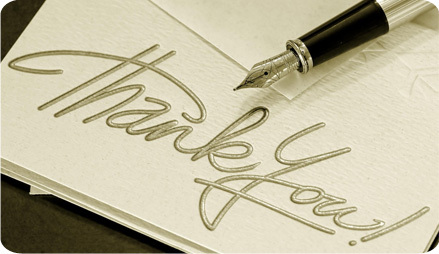 Registering for gifts is a time honored way to tell your friends and family exactly what you want them to get you for your wedding. 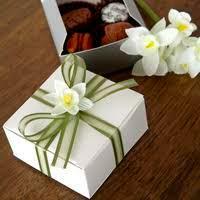 Unfortunately, these items can sometimes be quite expensive. 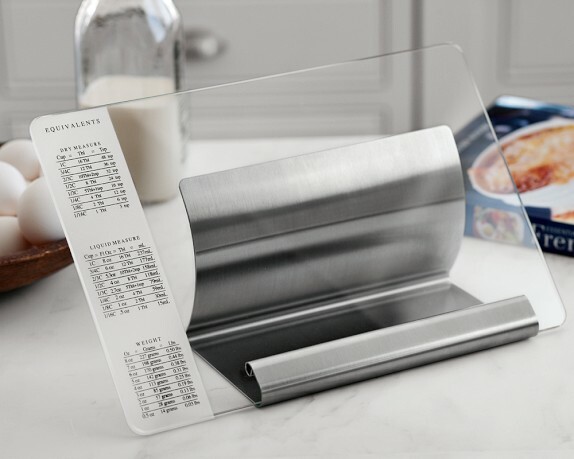 If you choose to register at Williams-Sonoma, you may be overwhelmed by the plethora of differently priced items that you can add to your registry. 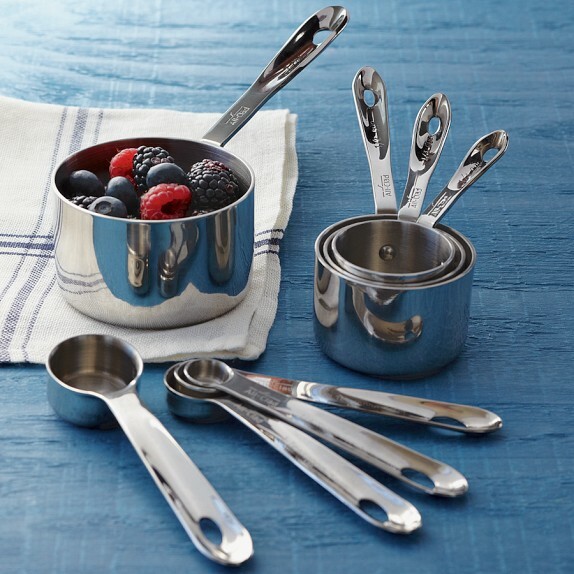 Rather than adding items that cost several hundreds of dollars, consider adding a few items under $50 to your WilliamsSonoma registry. These items can be useful or fun, but most of all they give your guests on a budget an option to purchase a less expensive gift that you actually want. A glass bowl set is a great choice for your registry because it is very versatile. In addition to mixing cakes or brownie mix in glass bowls, you can use them as a container for marinating meat or storing leftovers, or eve serving fruit. Some glass bowl sets come with plastic lids as well. Having a nice set of measuring spoons and cups can make a difference to your kitchen in the years to come. Look for products that have actual measurement etched into the plastic or metal handle. Printed measurements fade over time, and can leave you guessing as to which size cup or spoon you had. 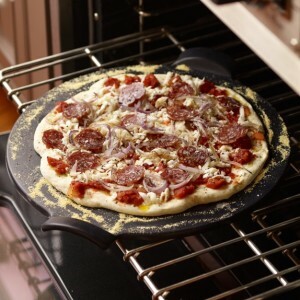 A pizza stone is a fun item to add to your registry. These ceramic stones help homemade pizza cook evenly without burning the crust. You can also use a pizza stone to make calzones, cookies, french fries, and quesadillas. Pizza stones come in a variety of shapes including round and square, and in several different diameters. 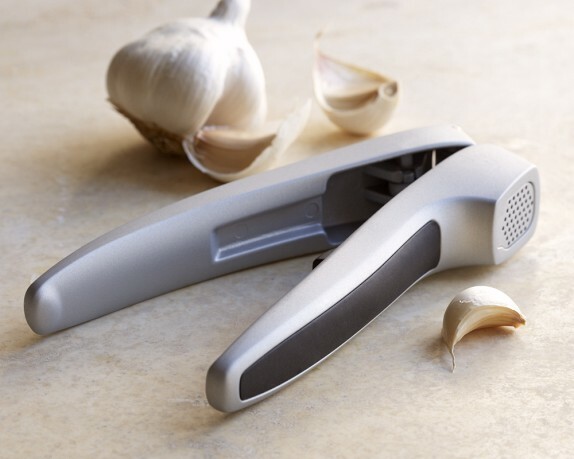 If you and your fiance love garlic but hate to peel the skin and chop it, a garlic press may be your new best friend. This kitchen tool can hold one or two unpeeled cloves of garlic and when you depress the handle, the flesh of the garlic is extracted. This tool also eliminates the need for your hands to touch raw garlic and smell garlicky all day long. 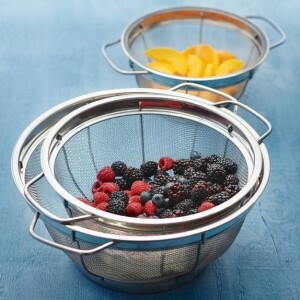 Colander sets are useful in the kitchen for draining pasta, cleaning berries, or rinsing vegetables. Colanders are also useful if you need to wash other household items that are tiny and need to be caught before going down the sink drain. 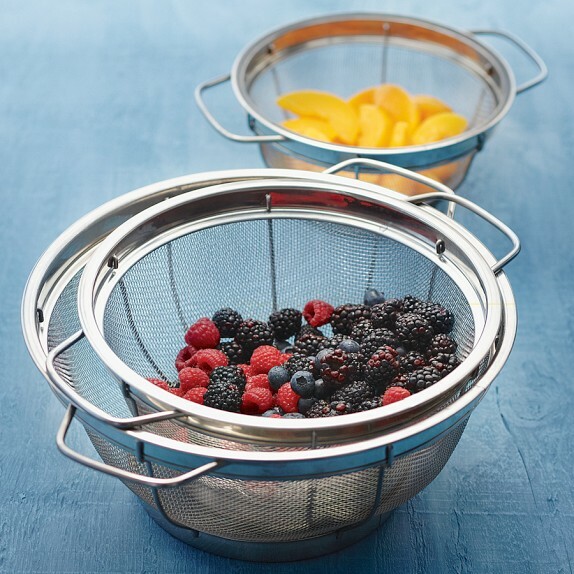 Sets of colanders can be found in wire mesh, plastic, or stainless steel. Anyone who loves treats deserves to own a good ice cream scoop. Inexpensive plastic scoops often break or don’t scoop very frozen ice cream without a lot of effort. 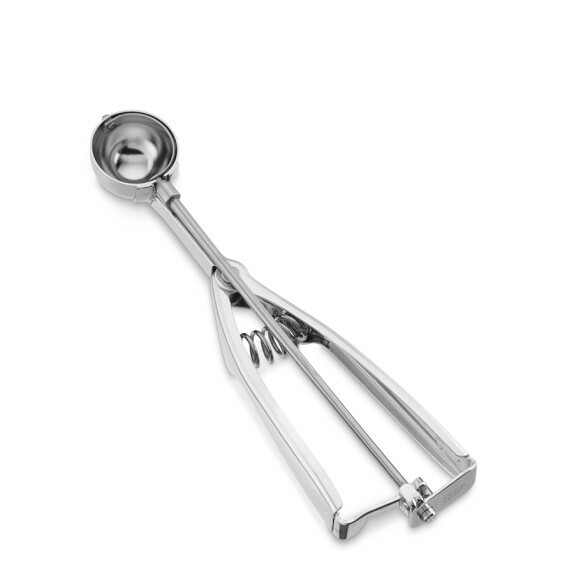 Consider adding a heavy-duty metal ice cream scoop to your registry. Not only are these scoops reasonable in price (under $50), they are more functional than their plastic counterparts. Metal ice cream scoops cut through rock hard ice cream easily. One of the best ways to clean lettuce is to use a salad spinner. 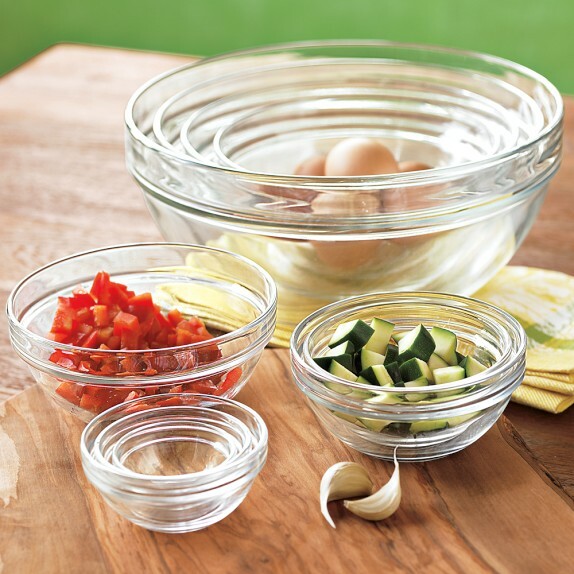 If you and your fiance love salad, this is the perfect gift to add to your registry. 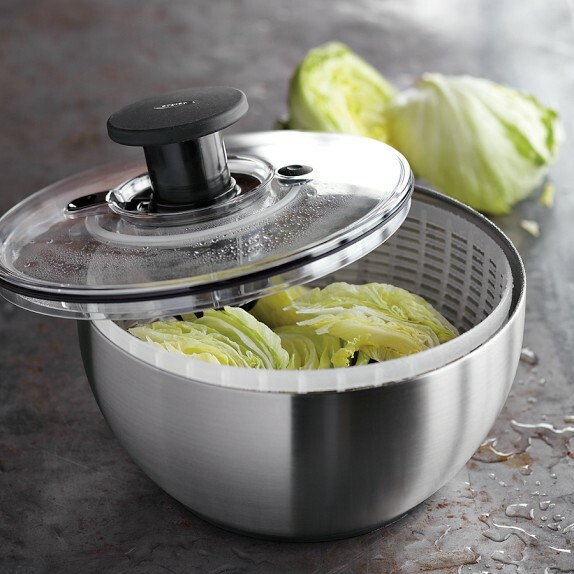 Salad spinners allow you to place torn apart lettuce leaves into a basket, and then place the basket into the spinner with water. All you have to do is turn the knob in either a clockwise or counterclockwise direction and the spin forces the water around the leaves, which removes any dirt. 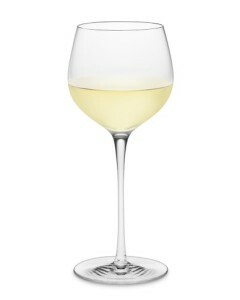 A good set of wine glasses is almost as good as a fine wine itself. There are several different wine specific glasses you can add to your registry such as glasses for chardonnay, Bordeaux, pinot noir, and even Champagne. Each of these glasses is shaped differently, but if you just want all-around wine glass, almost any of them will be fine. The microplane is one of the most useful kitchen tools but many couples forget to add it to their registry. 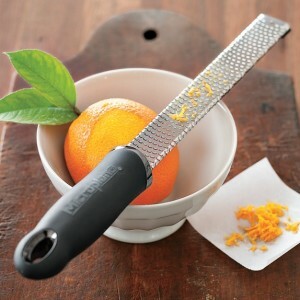 Not only can a microplane create zest from any fruit, it can also be used to finely grate hard cheeses like Parmesan,fresh ginger, garlic, and whole spices. 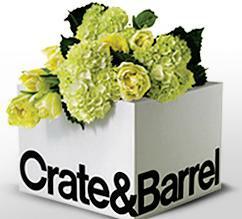 It is a very inexpensive tool, but definitely worth adding to your registry. As more and more couples are starting to cook together, they often have a hard time trying to find the perfect spot to place a cookbook or iPad, or other tablet, on the counter. A cookbook/ iPad holder is the perfect remedy for this problem. These inexpensive holders allow your cookbook or tablet to be elevated and away from anything that might stain the pages of the cookbook or perhaps get the tablet wet. Each of these items are priced under $50 and some cost even less. 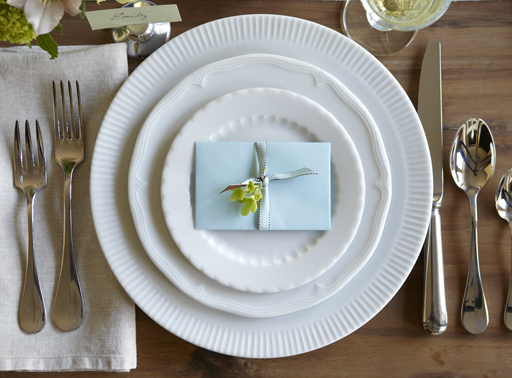 Adding affordable items from Williams-Sonoma to your registry allows the gift giver to stay within their budget if they have one. Plus, you can save money on all of the small items that you would need for your home anyway.